BELGRADE, SERBIA. 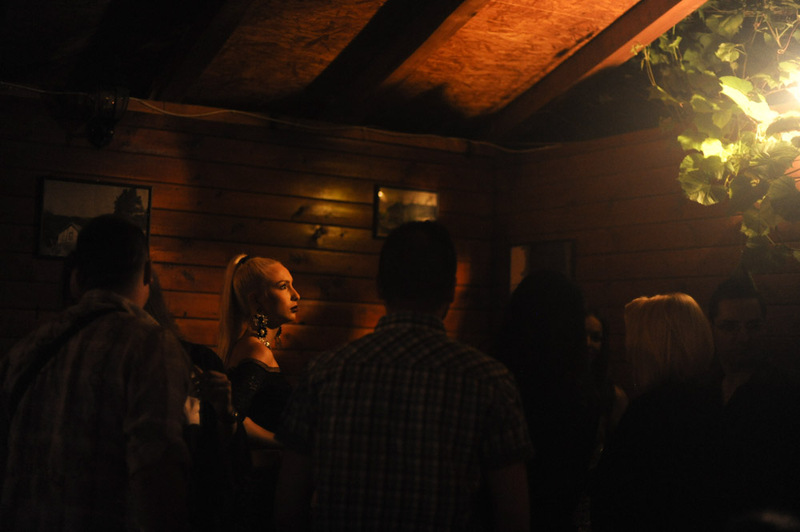 Starlet, or aspiring star, Atina Ferrari, who appeared on the reality show "Parovi," which features many high end prostitutes and elements of the turbofolk lifestyle, at Jos Ovu Noc, a kafana, or bar with live turbofolk music that blares late into the night on July 2, 2015. Such clubs as showcases for turbofolk singers and bands have their origins along the Ibarska Magistrala highway which goes south from the capital towards the most traditional parts of Serbia; the turbofolk lifestyle and sound has evolved into one where "money is the justification," in the words of Radovan Kupres, former cultural programming director of tv station B92 who produced the documentary "All That Folk".